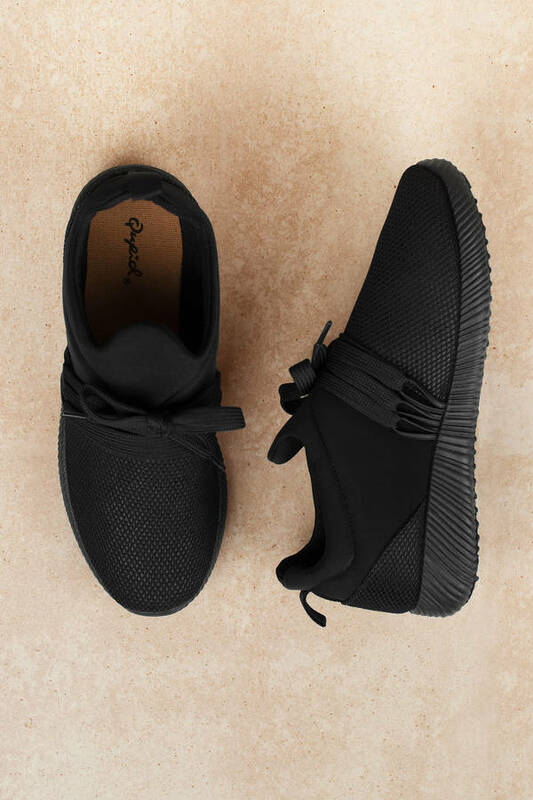 Check out Tobi's Nacara Sneakers Kick it up a notch with the sporty Nacara Black Sneakers. 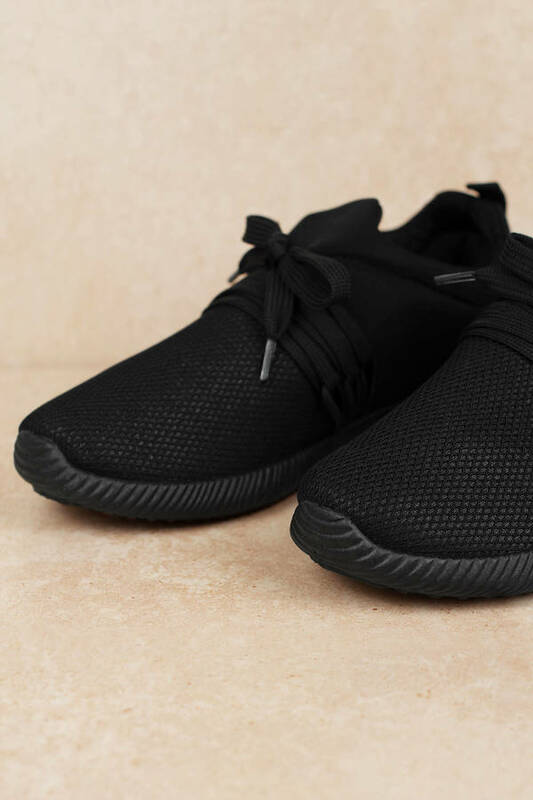 These knit sneakers feature rubber soles, lace up detail, mesh fabric upper, and the most comfortable fit. These trendy athletic shoes will look great with a matching yoga set. Kick it up a notch with the sporty Nacara Black Sneakers. 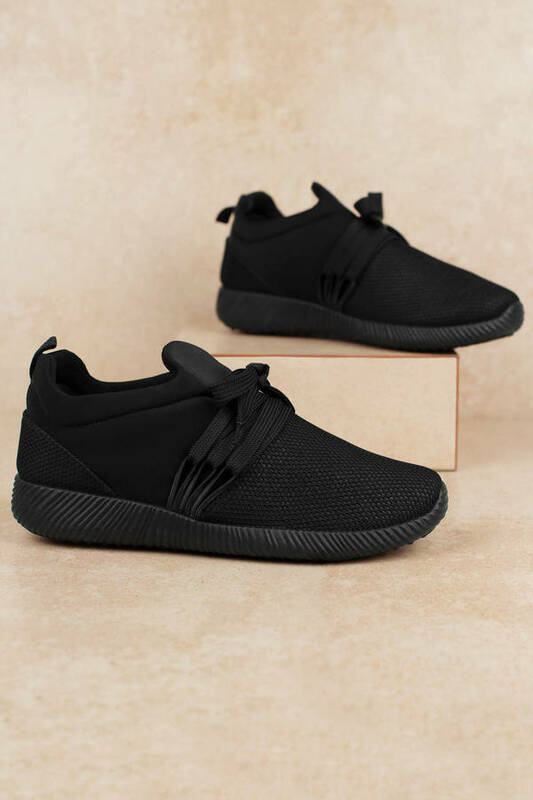 These knit sneakers feature rubber soles, lace up detail, mesh fabric upper, and the most comfortable fit. These trendy athletic shoes will look great with a matching yoga set.